Mega Sale! 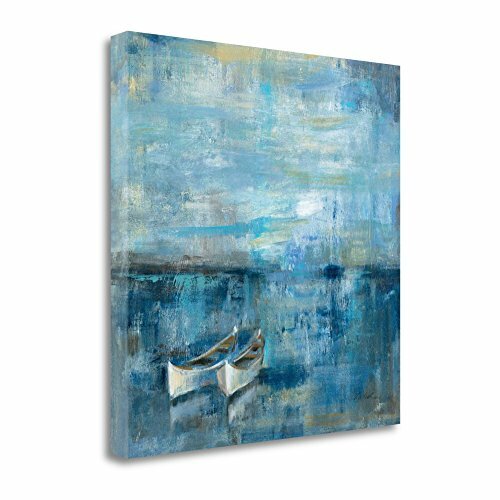 Save 26% on the ''Two Boats'' By Silvia Vassileva, Fine Art Giclee Print on Gallery Wrap Canvas, Ready to Hang by Tangletown Fine Art at When Art Imitates Life. MPN: WA612313-2424c. Hurry! Limited time offer. Offer valid only while supplies last. Abstract art is a fresh way of defining the style of a home or office. This fine art print highlights the use of color and shape to create an image. Abstract art is a fresh way of defining the style of a home or office. This fine art print highlights the use of color and shape to create an image. Tangletown Fine Art searches the worlds archives for the most relevant art to accent today's design trends. This gallery wrap canvas is printed using the latest giclee techniques on museum grade canvas. It is then stretched over kiln dried - finger Jointed pine. The resulting piece of art will last for years of enjoyment. If you have any questions about this product by Tangletown Fine Art, contact us by completing and submitting the form below. If you are looking for a specif part number, please include it with your message. Modern Abstract Pale Rose and White Textured Print, in Gold Frame, 22" x 26"
Cortesi Home "El Rey De La Muerte" by Nicklas Gustafsson, Giclee Canvas Wall Art, 28"x40"